Yushima Tenjin Shrine in Yushima, Bunkyo Ward, Tokyo is a shrine that is counted as one of the three great Tenjin of Kanto region, along with Kameido Tenjin Shrine and Yabo Tenmangu Shrine. 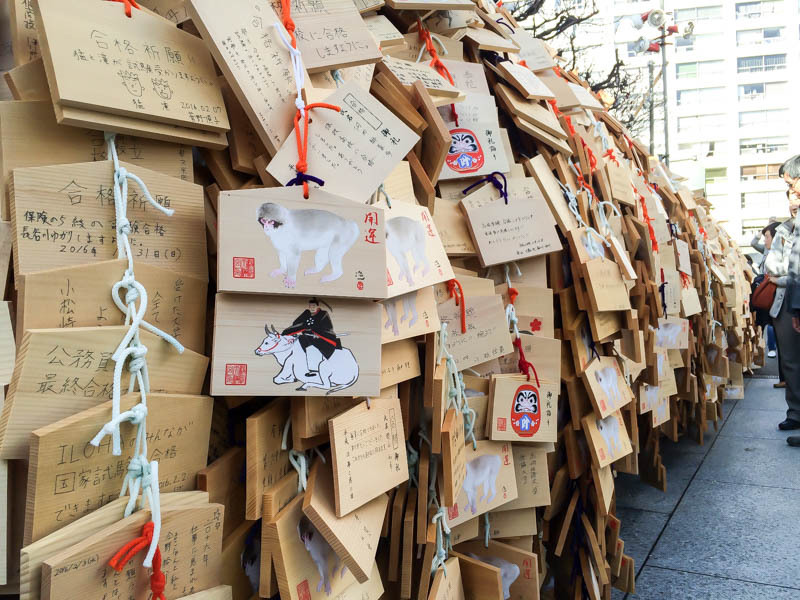 Main enshrined god is Sugawara no Michizane which is known as the god of studies, and every year when the exam season comes, a lot of candidates come to pray for success. Yushima Tenjin Shrine is said to have been built as a shrine dedicated to “Amenotajikarao no Mikoto” by the order of Emperor Yuryaku in 451. It was in 1355 that Sugaeara no Michizane was religiously incorporated in the shrine. It was spirited by the wishes of residents living around the shrine. 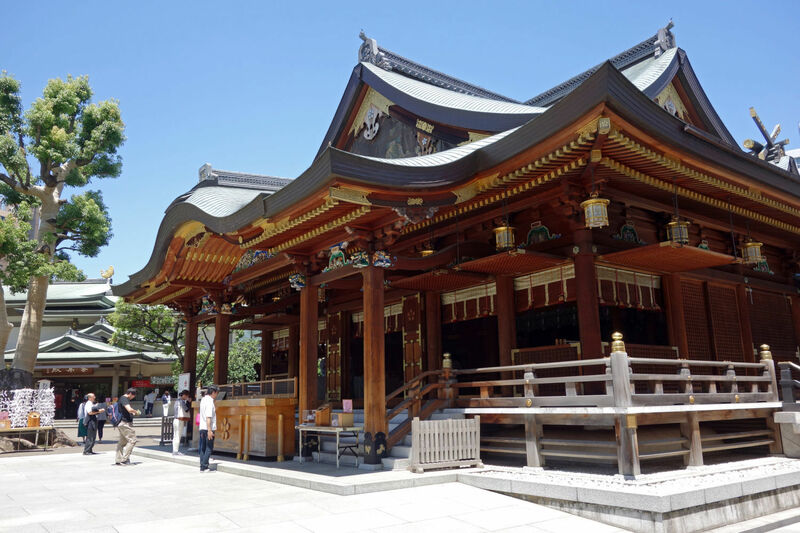 In the Edo era, Yushima Tenmangu Shrine came to be believed from the Tokugawa family. Among them, the faith of the fifth generals was particularly strong, many scholars and literatians of the shoguns visited the shrine and the shrine became prosperous. Even in the Meiji era, people’s faith in the shrine did not wane. 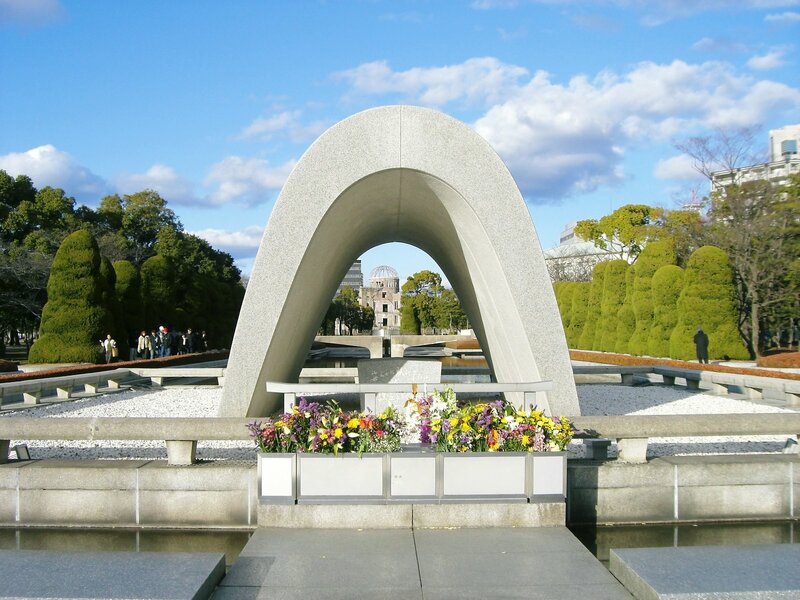 The official name of the shrine changed to “Yushima Tenmangu Shrine” in 2001 and it has reached the present. The front torii of Yushima Tenmangu Shrine is made of copper and it is the oldest one among casting torii existing in Tokyo. Currently it is designated as a tangible cultural property of Tokyo Metropolitan Government. Treasures of Yushima Tenmangu Shrine holds treasures that are transmitted to shrines including mikoshi (portable shrine) used at annual festival. 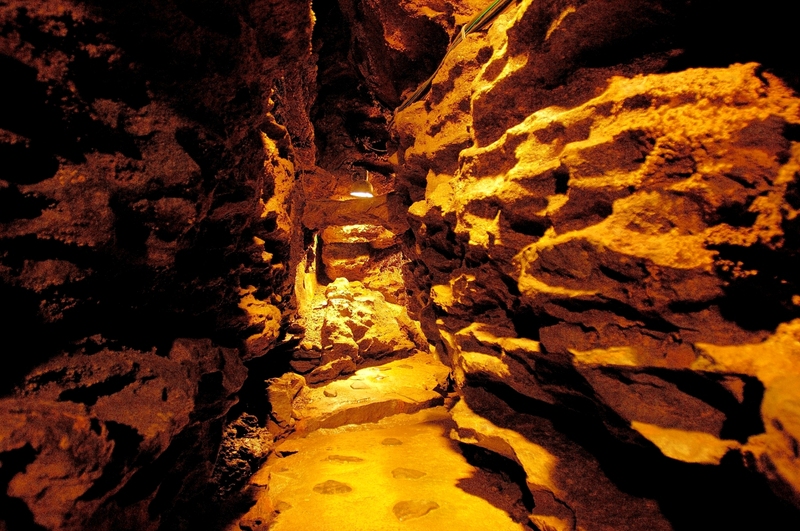 In addition to permanent exhibitions, regular exhibitions on Tenjin are also held. Those who want to know the history of the shrine or who are interested in ethnographic literature are worth seeing at first sight. The shrine buildings of Yushima Tenmangu Shrine buildings is a Gongen-zukuri style where the main hall and the shrine in front of it are connected by a building called “heiden”. Gongen-zukuri style is commonly seen in temples and shrines built under the shogunate led by Edo era including Nikko Toshogu Shrine. Cattle are said to be angels of Tenjin, and tenjin shrine often has statues of cows. 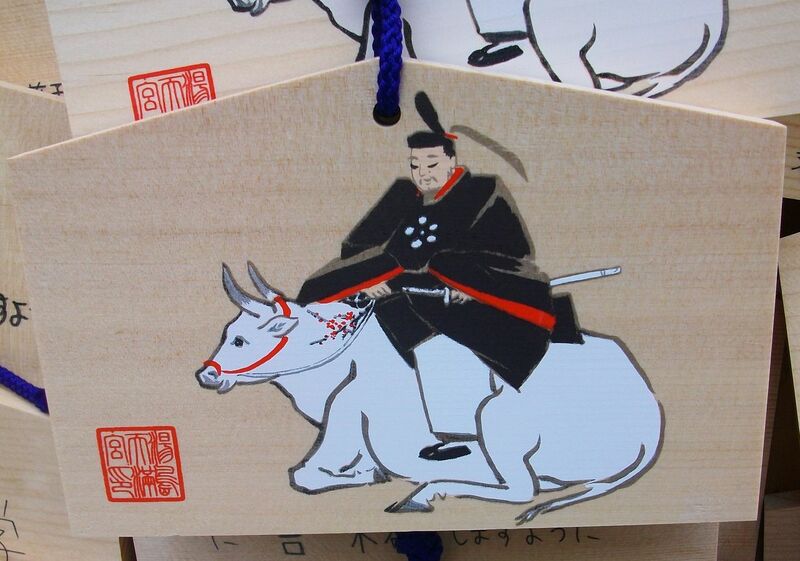 It is said that cows in Yushima Tenmangu shrine have a health benefit. 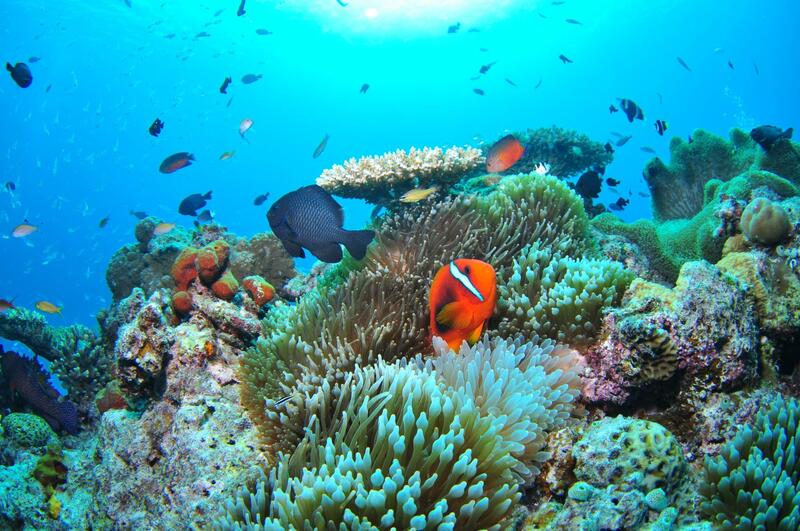 It is said that trouble will recover if you touch the same place as the defective place in your body. There is also a Japanese garden in Yushima Tenmangu Shrine, and you can enjoy a beautiful scenery a while when the plum blossoms. The plum blossoms in the precincts are one of the most beautiful in Tokyo. Yushima Tenjin in Tokyo Bunkyo-ku is Tenman-gu Shrine representing Kanto which enshrines Sugawara no Michizane known as God of the study. It is popularity as approximately 30,000 pieces of Ema (a votive horse tablet) are dedicated in an examination season. 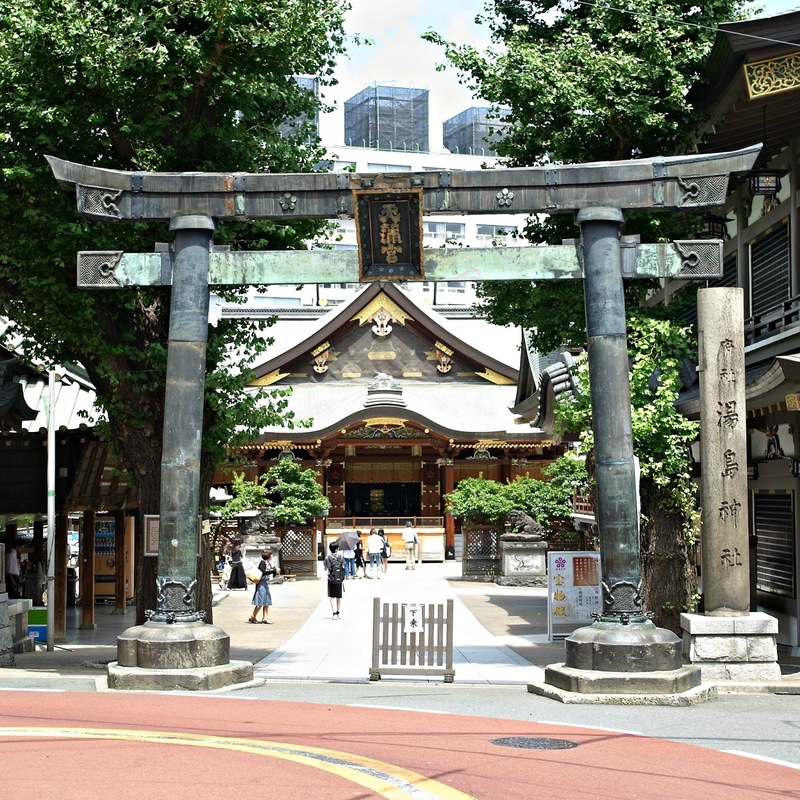 Yushima Tenjin is a popular name, and “Yushima Tenman-gu Shrine” is a official name. Foundation of Yushima Tenjin is very old and it is reported that it is 458 years. It is said that beginning deified God “Ame no Tajikarawo no Mikoto” of this ground from the first who opened the heavens stone door in which Sun Goddess hid. Sugawara no Michizane similarly called Tenjin (heavenly gods) (Raijin (god of lightning)) was deified, and the enshrined deity became “Ame no Tajikarawo no Mikoto” and Sugawara no Michizane. Other than studies, it is said that there is benefit of good fortune, matchmaking. 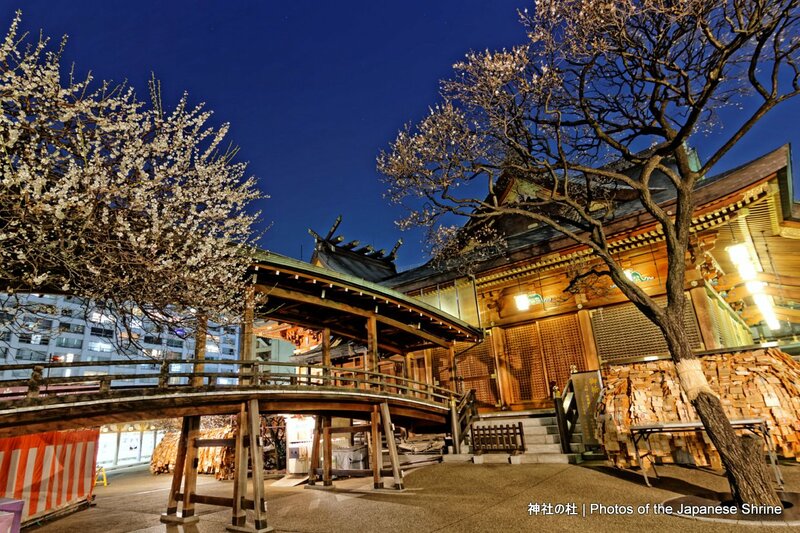 The main shrine of Yushima Tenjin was built by using the Kiso hinoki which is said that is age-of-a-tree 250 years. This seems to be a very rare thing. “The front torii” of Yushima Tenjin is the torii of the oldest and an excellent work as torii of casting which is existing in a metropolitan area. It was donated in 1667. 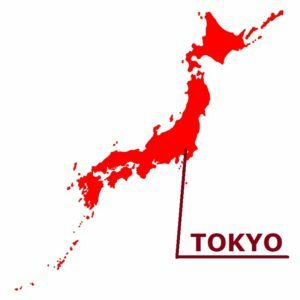 It is designated as the Tokyo specification tangible cultural properties. * : SUGAWARA no Michizane was born in Kyoto in 845. He showed prominent talent on both sports and studies, for example, writing a waka (31-syllable Japanese poem) from the time he was small. He accomplished unprecedented success in life, finally reached the Udaijin (Minister of the Right), and played important role at the center of the politics. He rendered service to his country, but he was demoted because of the conspiracy by Minister of the Left, Fujiwara no Tokihira who felt jealous of his abilities, and degraded to Dazaifu (governmental office in Chikuzen Province), died in despair. Because of ominous events continued in Kyoto after his death, it was said to have been cursed by Michizane’s vengeful spirit. His innocence was proved afterwards, and he came to be revered by people after that.